“Do you suppose?” Evenshare asks me. Lange tries to persuade her again to go outside, describes the weather as sunny and warm, but Eva doesn’t care. 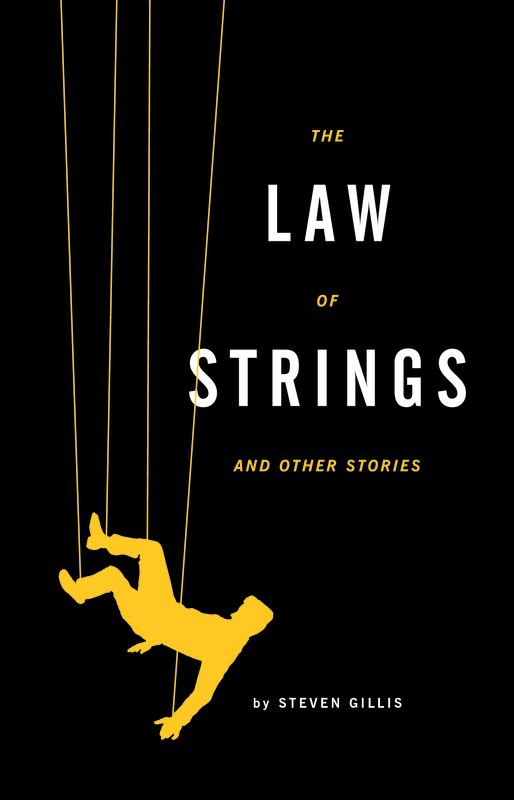 She reminds him how poorly yesterday went, how he needs to stop asking her to undo the ropes, repeats much of what she’s said the last two days, argues again about gravity and the law of strings. Lange touches his lips, dry against the heat, is frustrated, focuses now on better arguments, insists that gravity is more than a restraint, that ordinary matter establishes its own gravitational pull and creates favorable attractions. “You and me,” he moves his hands forward and back, tries closing the space between them, says people are attracted naturally. “Right,” Eva wonders if Lange knows what he’s saying. She thinks about the calls made and unreturned, about what’s natural and what isn’t. She kept the larger ones in kettle jars, let them float like honey combs, these silver dolls made buoyant on waters mixed with a slight trace of silicon and lemon jello. For a time, before the galleries called and wished to show, my wife stored the newest in our apartment, the jars and tanks lined up. All of these were eventually moved to the studio my wife rented on West 23rd, where she worked long hours perfecting her creation. This morning I woke from the strangest dream. My wife and I were standing in front of an enormous window, in a restaurant dining room several stories above a beach overlooking the sea; the water blue and clear with long-drawn waves creating hair-thin strings of white caps. My wife was drinking a very large glass of wine, the stem stretched like a crane’s neck, requiring her to hold on with both hands. The room was otherwise empty. Just before dusk my wife finished her wine, set the glass down — the rim stood as high as my chest — and said, “I’d like another,” then proceeded to slip serpentine over the rim into the glass and vanish. As I woke and rolled on the bed to tell my wife what a queer dream I’d had, I found she wasn’t there. Each story moves swiftly and many evoke a feeling of tension, often left unresolved. As I finished one story, I eagerly went to the next, looking forward to what Gillis would reveal about the world in which we all live and the people and mysterious natural forces with which we interact.